A new year is upon us, and while everybody has new year resolutions. The tech geeks like us like to think about new hardware every day so a new home server build seems like a great new years resolution for us. The holiday season just went by, and the budget was quickly shortened by gifts bought for our loved ones. Even so, the old server started to act up and a new build was long due so i wanted to do a server build for serving media which is good enough to do other tasks at the same time. 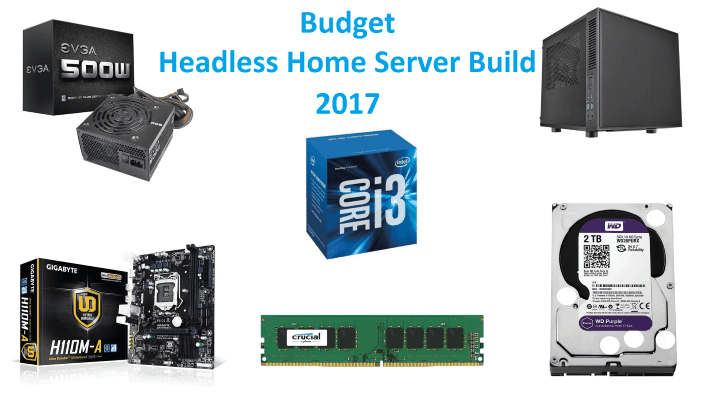 And because in January, deals for new hardware are everywhere, let's start our journey on building the new budget headless home server build 2017. File server for network users – The server should be able to act as a file server in order to allow users to upload and share files. 24/7 operation – The server should be able to run 24/7 without a big impact for your electricity bill. Silent operation – The server should be silent enough to run in a living room, without you knowing that it's on. Download station – The server should perform great as a download station in order to delete files from the internet. Let's start by choosing a CPU. 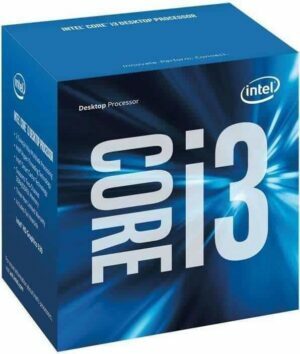 I chose the Intel i3 6100 Skylake for our headless server build. It is a 2 core/4 thread processor running at 3.7 Ghz. This CPU is good enough for our build allowing you to run a Plex Media server and handle a couple of 1080p streams with transcoding (2 1080p streams with a PassMark of 5353), while performing other duties in the same time. Built on 14 nanometers with a TDP of 51W, this processor is really efficient when it comes to power consumption making the server efficient and silent, so this is a great choice for our budget home server build. Besides that, it has an integrated graphics card which can handle light gaming if this is needed in the future. Next, we choose the motherboard. I chose the GIGABYTE GA-H110N which comes in a mITX form factor, which is just 12 by 12 cm. Running on the Intel H110 chipset the motherboard has 2 USB3 ports and 4 USB2 ports allowing various peripherals to be connected. It has 3 Sata III ports where you can connect your drives, a PCI-E X16 port where you can add a dedicated graphics card and two DDR4 RAM slots that can accommodate up to 32 GB. 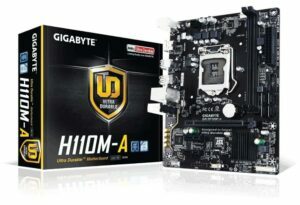 By sporting a wide range of video outputs like VGA, DVI and HDMI, the GIGABYTE GA-H110N motherboard is able to perform great if in the future you will like to turn your headless server build into a server with video capabilities. It also has a gigabit network interface which will allow you to have gigabit LAN speeds (if your router supports it) making sure that you don't have any bottleneck when it comes to network speeds. When streaming outside your network, you will be limited only by your ISP internet speeds. This motherboard allows me to have a small home server with a small footprint while having good performance making it a great choice for our home server build 2017. Hard Drives are really important when it comes to having a reliable home server. 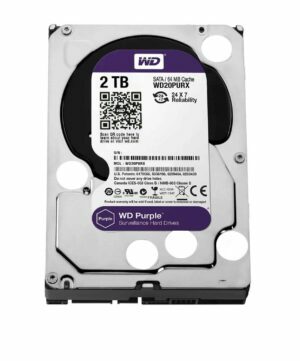 I chose the WD Purple 2TB Sata III hard drive from Western Digital for being the download/storage drive in our home server build 2017 because it offers great sustained read/write speeds while running silent and at a low temperature. Besides that, it is certified for running in 24/7 appliances so this drive fits great in our home server build 2017. In the future, you will be able to add an extra HDD so you can expand your storage without any hassle and enjoy having extra space for all your media needs. 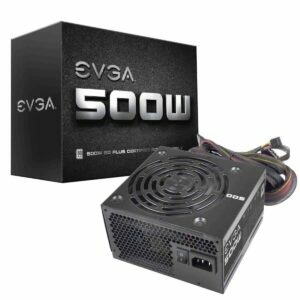 The power supply is from EVGA and has 500W. While the system will be using close to 10 times less than the power supply is able to deliver, it is a good idea to chose a quality power supply because in case of failure, if running a cheap PSU, you risk loosing other hardware in the process. It is also really quiet and has a good efficiency overall. The last, but not least is the case where all the components will be housed. I chose the Thermaltake Suppressor F1 wich is a Mini-ITX Cube case. It supports our Mini ITX motherboard, and can accommodate 2 regular sized hard drives and an extra 2 SSDs or 2.5 inch hard drives. I also chose this case because it is made from quality materials which will help on dampening the noise produced by the fans and it will not suffer from vibrations. After adding up all the components our headless server build costs around $410 which is a great price for the amount of performance and upgradability you get. You will be able to run a Plex server without any issues, you can serve files trough the internet and also download files at the same time. In the future, you can easily add a new HDD to expand your storage space, and you can even add a dedicated video card so you turn this budget home server into a gaming capable machine.